How Germany does prison, day five. Throughout the United States, prisons are competing with other industries for job applicants, and they’re losing: understaffing is a chronic problem from Texas to New Hampshire. In Germany, on the other hand, citizens actually compete with each other to work for prisons. In Mecklenburg-Western Pomerania, a state along the country’s northern coast, roughly 300 men and women will apply to be correctional officers this year. Thirty will make it into the training program, which has a 10 percent acceptance rate — a figure more often associated in the U.S. with elite universities. They will have to score over 100 on an IQ test to even qualify. Once they’re accepted, trainees will study for at least two years. Training for American correctional officers varies by state, but rarely lasts longer than three months. In Germany, prison sentences are shorter — more than 15 years is rare unless someone presents a clear threat to public safety — and the crime rate is low, so there are simply fewer prisoners (about 76 per 100,000, compared with 700 per 100,000 in the U.S.). Fewer prisoners means better staffing ratios and more time for training. For the corrections officials, district attorneys, and other criminal justice professionals I’ve joined in Germany for a week of prison tours, that kind of investment in staff is practically unimaginable. “It’s a constant challenge for us to find people to recruit,” said Bernie Warner, the corrections secretary in Washington state. In Waldeck prison — which houses 110 prisoners behind a 20-foot concrete wall and razor-wire fence, as well as another 80 in an “open prison” outside (not unlike a halfway house) — we gathered around a projector and watched a video of a correctional trainee’s exam. His name was Philip, and he was not an actor. Over his first year of training, Philip had studied not only self-defense and the basics of how to communicate effectively with prisoners — common facets of training in the U.S. — but also criminal law and educational theory, according to Jörg Jesse, the head of the prison system in Mecklenburg-Western Pomerania. Philip’s leg shook as he pulled instructions from a small envelope: He would have to prepare a mock prisoner to be transported to court and greet him upon return. Philip passed the exam, but was far from acing it. He forgot to handcuff the mock prisoner, and during a physical search, he failed to find a letter in the man’s pocket (he did, however, find a nail file in his shoe). Philip did far better when conversing with the man after he returned from court, threatening suicide after being sentenced to four years. “What happened? Are you okay?” Philip asked the pseudo-inmate. He also called the prisoner “Mr. Miller,” not “Offender Miller,” as he might in a U.S. prison. All of the prison officials here this week would probably agree that improved staff training — like many other attractive features of the German system — is something they might have already achieved if they had the money. They know it may take years for incarceration rates to dip low enough — and public awareness of what correctional officers do to grow — for lawmakers to listen and give them more money. They know it may take some time to raise salaries and turn correctional officers into competitively selected men and women who get the training necessary to approach prisoners with empathy and psychological acuity. As with so many of the efforts to reform the American justice system, the results will likely take years to see. But the horizon is peeking into view. 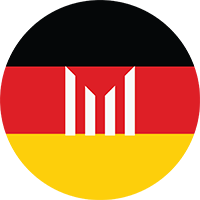 Check back in October for a full report on The Marshall Project’s week-long visit to German prisons with American criminal justice leaders, and to find out if they used lessons from Germany to improve American prisons.